Journey Through Utopia, Marie Louise Berneri. A forensically critical and scholarly assessment of the most important utopian writings from Plato’s ‘Republic’ to Huxley’s ‘Brave New World’. What is ‘utopian’? Is it the desire for a ‘just’, equitable and cooperative society free of moral and physical compulsion, or the economists’, politicians’, planners’ and ideologues’ vision of a regimented, mechanically-functioning society with their schemes for social improvement in which all society’s conflicts are reconciled or contained? Marx’s theory of history, for example, predicts an end to history in which all social contradictions will be permanently resolved. 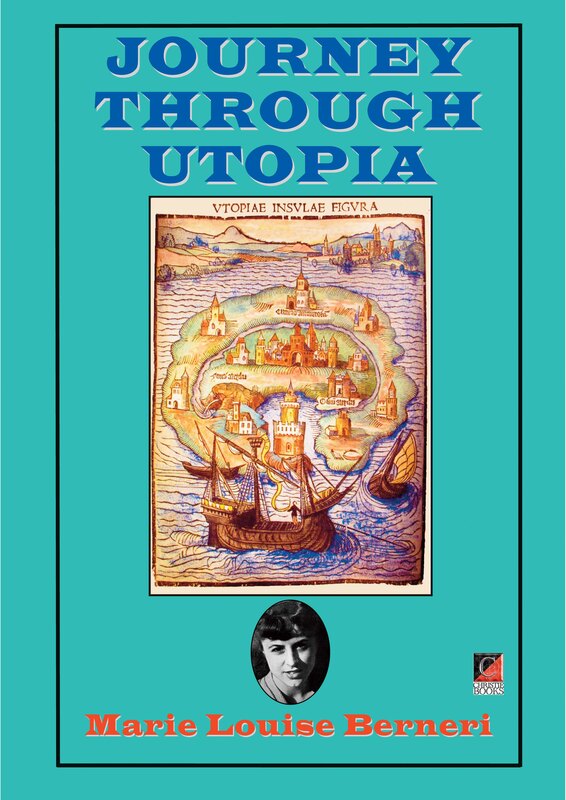 In her account of Utopias, Marie Louise Berneri emphasises the intolerant and authoritarian nature of most of these visions; the exceptions, such as those of Morris, Diderot and Foigny, being only a very slight minority. She points to the fact that, although the Marxists have always claimed to be “scientific” as opposed to Utopian socialists, their actual social experiments have in practice taken on the generally rigid structure and even many of the individual institutional features of the classic Utopias. Visions of an ideal future, where every action, as in Cabet’s or Bellamy’s schemes, is carefully regulated and fitted into a model state, are no longer popular, and it is impossible to consider such a book today achieving the fame which was enjoyed by Bellamy’s Looking Backward in the late nineteenth century. It is significant that not only are those writers who are conscious of present-day social evils writing anti-Utopias to warn people of the dangers of going further in the direction of a regimented life, but these very books have the same kind of popularity which the smug visions of a socialist paradise enjoyed before 1914.